The IS has imposed a dress code on men in its Syrian stronghold Raqa to help its fighters blend into the civilian population. BEIRUT: The Islamic State group has imposed an "Afghan-style" dress code on men in its Syrian stronghold Raqa to help its fighters blend into the civilian population, a monitor and activists said Monday. "For more than two weeks, Afghan-style clothing... has been imposed by Daesh," said Abu Mohamed, an activist with the "Raqa is Being Slaughtered Silently" group, using the Arabic acronym for IS. "Anyone who does not comply faces prison and a fine," he told AFP. The rule "is an attempt to make it harder for aeroplanes and the Kurdish forces... to distinguish between civilians and Daesh members," Abu Mohamed said. 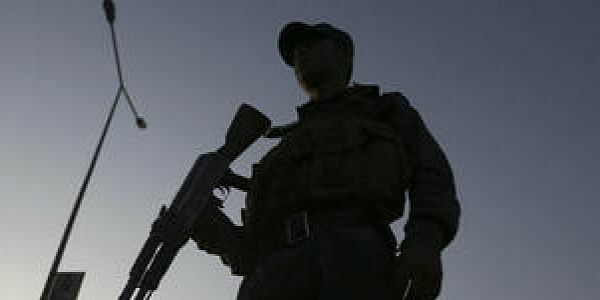 "The Islamic State has imposed Afghan-style dress on residents of Raqa so that informants giving coordinates to the US-led coalition will not be able to distinguish between civilians and fighters," Observatory director Rami Abdel Rahman told AFP. Abu Mohamed said there was a "state of alert" in Raqa, with new checkpoints springing up and IS arresting anyone who describes the situation as dire. "Prices are skyrocketing and there is no electricity or water," he told AFP. "Thousands of families in recent days have tried to reach the administrative borders of Raqa province, along with around 120 families of fighters and commanders of IS," the monitor said. It said IS was preventing civilians from entering the province "but granted families of its fighters" a document allowing "passage to Raqa city by boat as ground transportation is now impossible because the bridges across the Euphrates have been destroyed".